One of my goals is to master the art of growing basil, because believe it or not, it's a terrific ingredient for all kinds of ice creams and sorbets. Unfortunately, I seem to eventually kill every plant I bring home. 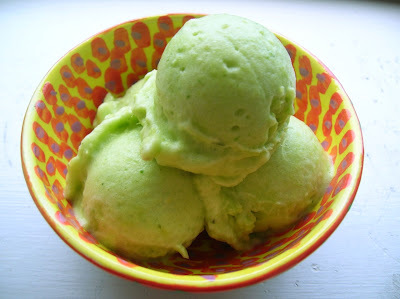 At least this week it was reincarnated as pineapple basil sorbet. I'm sure there are ways you could make this recipe very complicated by adding in all sorts of extraneous ingredients. I kept it simple with just two: pineapple and basil. I let both of them soak up some sunlight for a couple days. If it looks like you've recreated Nikelodeon's slime, you've succeeded. 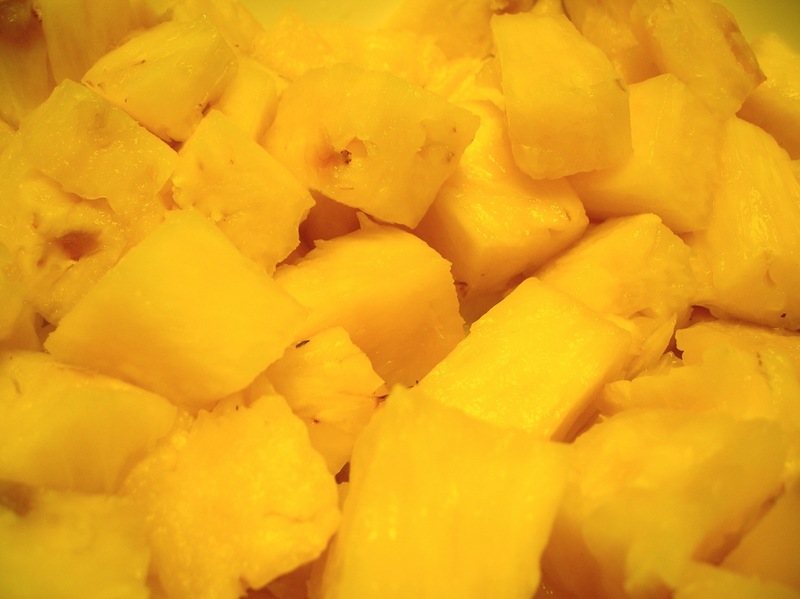 Remove the core from the pineapple and chop into cubes. 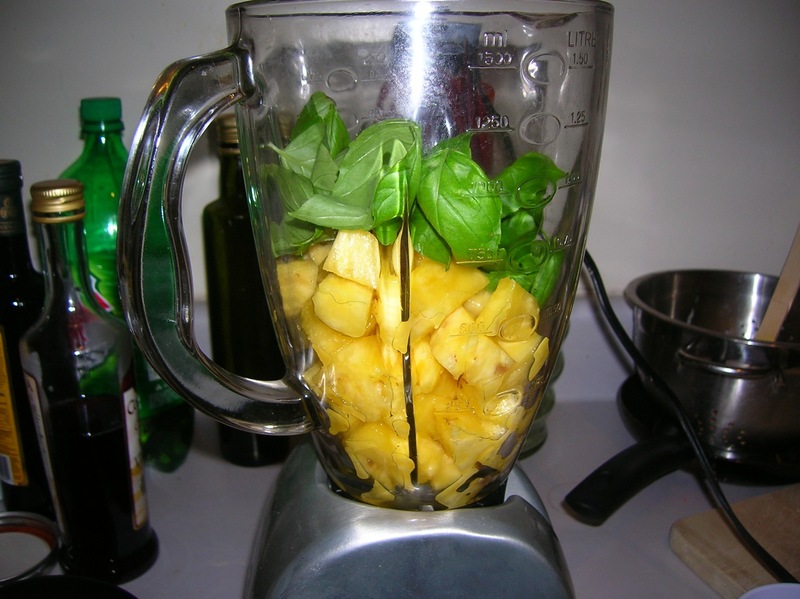 Puree pineapple in blender with freshly-picked basil leaves. Pour in ice cream maker and churn. It's that simple. This looks AMAZING. I love basil in desserts! 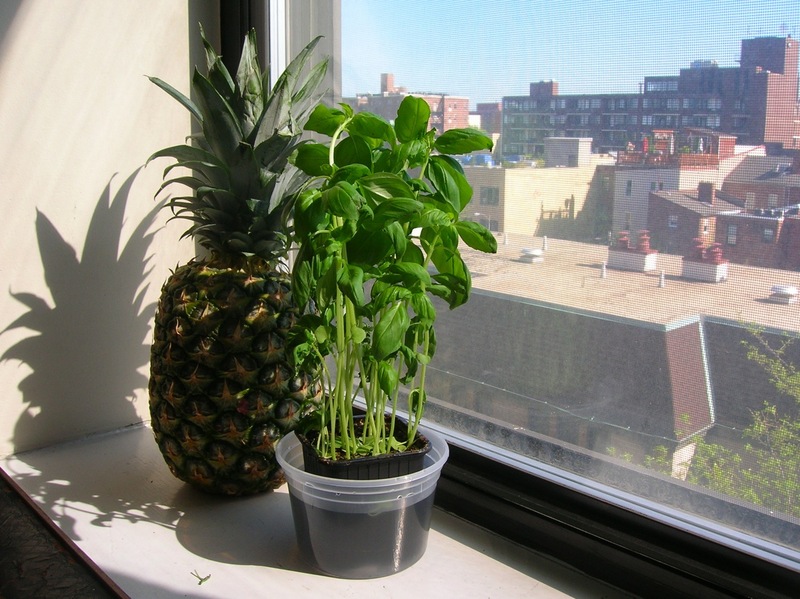 As for basil plants, I agree -- it can be tough to keep them alive and well. They're one of the more finicky and fussy of the herbs. I did notice in the picture above is that your basil plant seems to be up to its neck in water. I'm guessing you were simply watering it, not just letting it sit around in there... but just in case you were (letting it sit there), you probably don't want to do that anymore as it's a pretty sure-fire way to drown the plant. It's definitely a good idea to submerge it in a water-filled tupperware (the way it is in the photo) to water it, but once it has drunk it's fill, get it out of there to a well-aerated dish to prevent mold or mildewly beasties from taking hold. 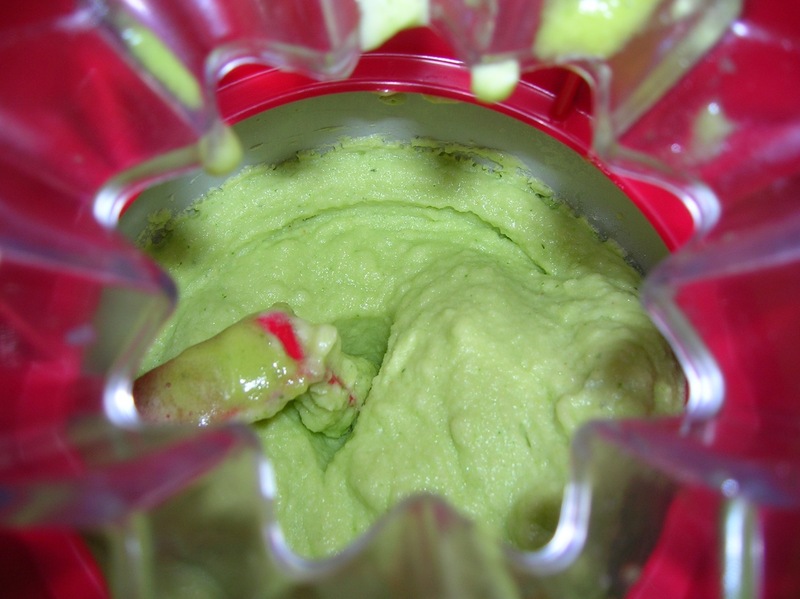 Keep churning out the wonderful and inventive recipes! This one is at the top of my list, followed by the sake ice cream and then the carrot apple ginger sorbet. YUM. Thank you for this! Very good. 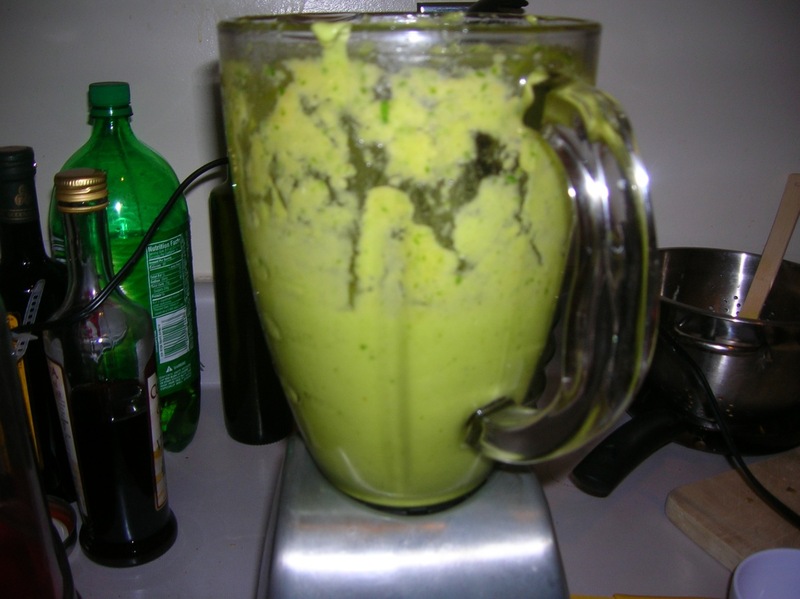 I did throw in 1 mango as well, though, and canned pineapple. Thanks for the recipe! This is one of the best ice cream I have tasted. It taste just like the one I had at Ma Peche Restaurant in New York!!!!! This recipe was great. We used mint instead of basil, though, because it was on hand. It turned out great. I was happy to see that it didn't freeze solid after going in the freezer. My previous sorbets ended up more like popsicles after being frozen. This one was still light and fluffy, just a little bit of ice.